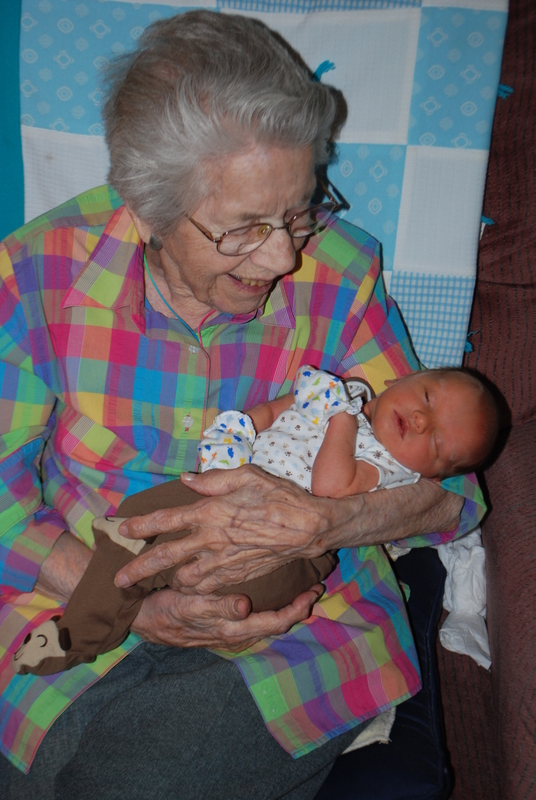 On day five we met great-grandma (Kyley’s grandma). We went to her assisted living facility and hung out for about two hours. She held Maximus and he talked to her a little. He opened his eyes a few times so he could look at her. She got to see all his funny faces and saw him wiggle around. When grandma went to lunch, Maximus was paraded around the dining room so everyone could look at him. Most didn’t understand what his name was, but he was a big hit regardless. They loved his “boxing” mittens so he didn’t scratch his face.